Margaret Gass saw flood water breach the five-foot tall retaining wall of her neighbor’s house in August. She said the dirty red water came into her first-floor apartment through the windows. Gass was recalling the floods that affected some parts of the city from August 11 through 13, 2018. Gass may be eligible for a low interest Small Business Administration (SBA) disaster loan. Mayor Andre Sayegh’s administration is telling affected businesses and residents to seek relief through the federal agency. “We want to let you know that we are an administration that cares about your welfare and your quality of life. We know that it is a struggle, particularly in the wake of a severe storm, and then the subsequent severe flooding,” said Sayegh. Municipal officials did not have an exact count of the number of businesses and residents that were affected by the flood. Sayegh estimated more than 500 homes and businesses were affected. “This is the answer. The resources are here. Take advantage,” said Luis Velez, 5th Ward councilman. Half-dozen residents, mostly from 20th Avenue, spoke about their plight in the aftermath of the storm. “Our street was completely underwater,” said Martha Arenciba. She blamed the city’s combined sewer system for the flood. Gass said the lines were clogged. “All the lines were running. It was just massive amount of water,” said William “Billy” Rodriguez. Some of the residents pleaded for help to the City Council weeks after the flood. But there was little assistance the municipality could provide. The residents have until Dec. 24, 2018 to apply for the loan program. 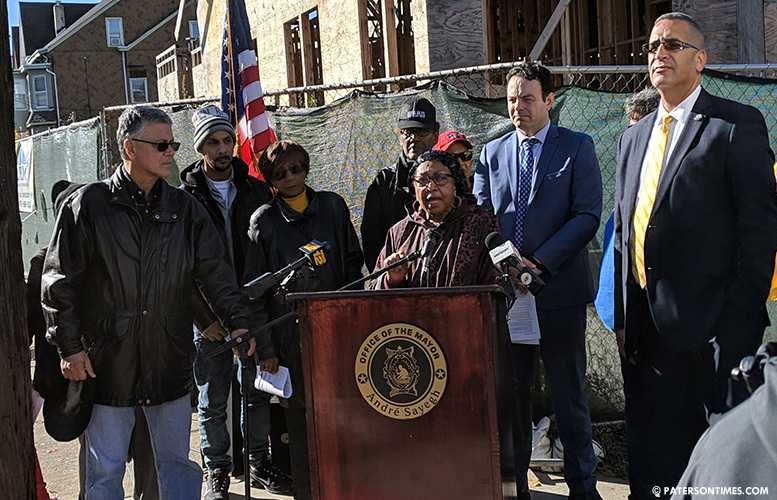 Harry Menta, spokesman for the Small Business Administration (SBA), said residents should include damage assessments, and repair receipts as part of their application for the disaster loans. Businesses that were affected have until Jul. 24, 2019 to apply. Some businesses may have suffered economic injury due to roads being blocked by flood water. Menta said businesses will have to prove that the disaster caused economic injury. For example, businesses could show sales dropped in the aftermath of the storm, he said. Interest rates for home loans are as low as 2-percent and 3.6-percent for businesses, according to documents handed out to affected homeowners. Those affected can call the customer service line at 1-800-659-2955 or visit the SBA’s website at to learn more about the program and how to apply.